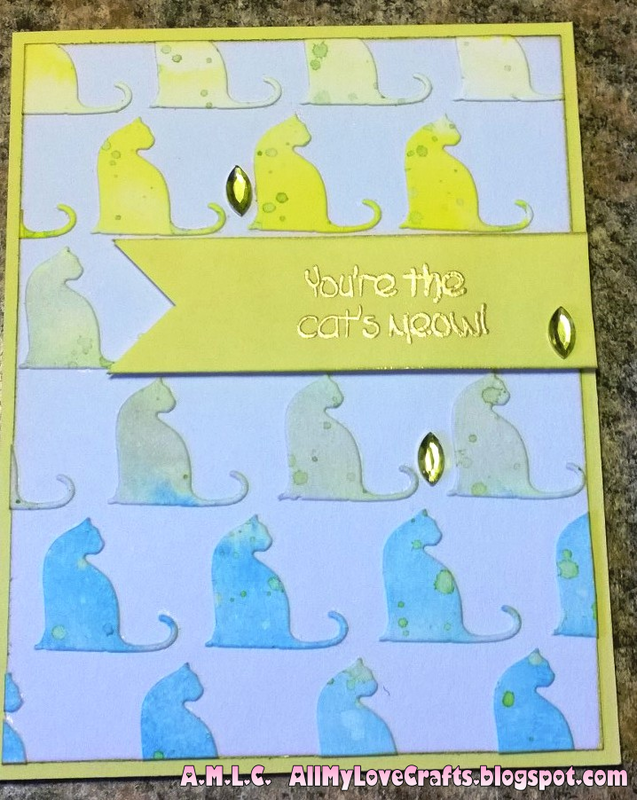 All My Love Crafts: The Cat's Meow and a Butterfly! Day 4 is working with Mini Dies. I chose to try this technique by Jennifer Rzasa to use mini dies as a background. Only problem....I only have ONE mini die. (and, of course, it's a kitty) Needless to say this card took me a while to create, but I do love the final product! Plus I got to play with my watercolor paper and distress inks again. The colors used are Mustard Seed, Bundled Sage and Salty Ocean to try and give a colorful ombre-like effect. The sentiment used says "You're The Cat's Meow!" Day 5 was about coordinating dies...unfortunately, I don't own any die/stamp sets. (Yet anyway lol!) Shari Carroll used a die to create a beautiful window on the front of her card. 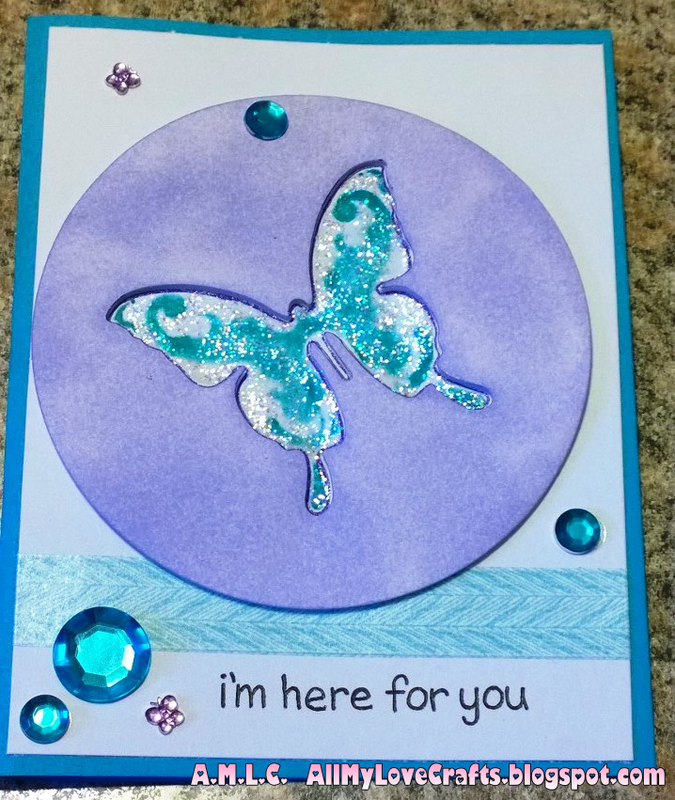 I wanted to mimic this technique using what I had and chose Butterfly Two dies by Spellbinders. They have a pattern inside the die cut that can be embossed. I used this as a stencil instead to put Peacock Feathers Distress Ink in the center of the butterfly. The pop up window is colored with Lilac ink and placed over the stenciled image using foam tape.